"I have today reviewed your website under the terms of my criteria and am pleased to inform you that your website has achieved Silver status." M. Hemming = Ole R.D. "Congratulations! Your Site is Rated 5.0. 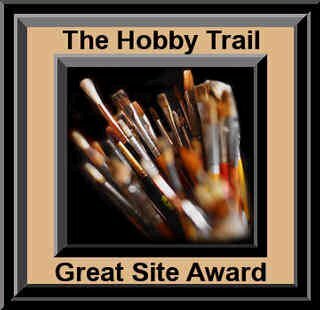 Your site is one of the chosen few to receive the Hobby Trail Award. This Award signifies that this GREAT SITE contains Quality content and has Skillful Design and clever graphics. Nice job, keep up the Great work on your Site."